Raymond van Barneveld moved into the last 32 of the UK Open with victory over youngster Michael Smith in a thrilling battle in Bolton on Friday evening. Raymond van Barneveld put on a show in the inaugural Dubai Duty Free Darts Masters but was denied glory by the formidable Michael van Gerwen in Friday’s all-Dutch final. 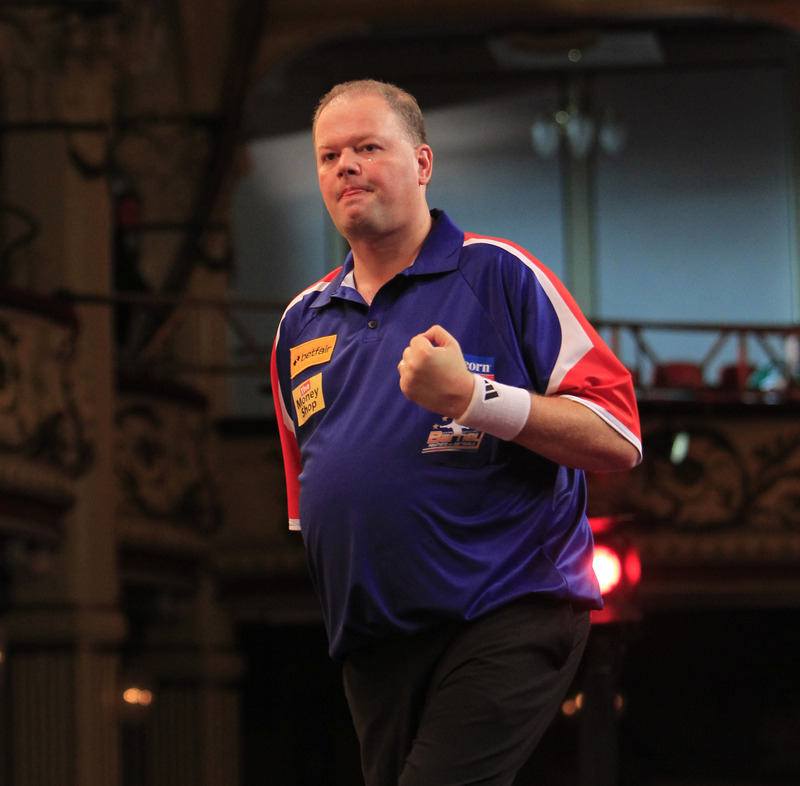 Raymond van Barneveld know he will have to be at his best if he is to reach his first Premier League final on Thursday. The popular Dutchman meets world number one Phil Taylor at London’s O2 after finishing the league season with two victories in Newcastle. 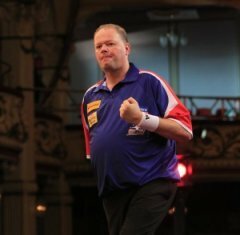 Raymond van Barneveld secured his place in the semi-finals of the McCoy’s Premier League with a week to spare after defeating Adrian Lewis in Liverpool on Thursday evening. ‘Barney’ averaged over 102 and produced some fabulous finishing to earn a 7-4 success, a win which not only confirmed the Dutchman’s Play-Off position but also kept him in contention to pip Michael van Gerwen into for first place. Raymond van Barneveld leap-frogged James Wade into second place in the McCoy’s Premier League with victory over ‘The Machine’ in Birmingham. The Dutch star swept to a 7-2 success over the world number four at Birmingham’s National Indoor Arena. 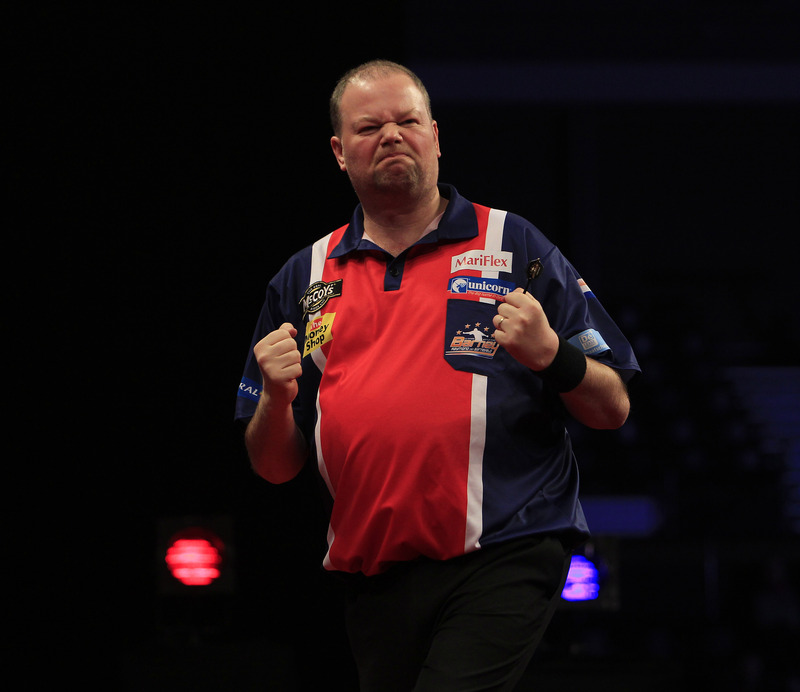 Raymond van Barneveld was denied his first McCoy’s Premier League victory over Phil Taylor when the pair shared a draw in Dublin on Thursday evening. 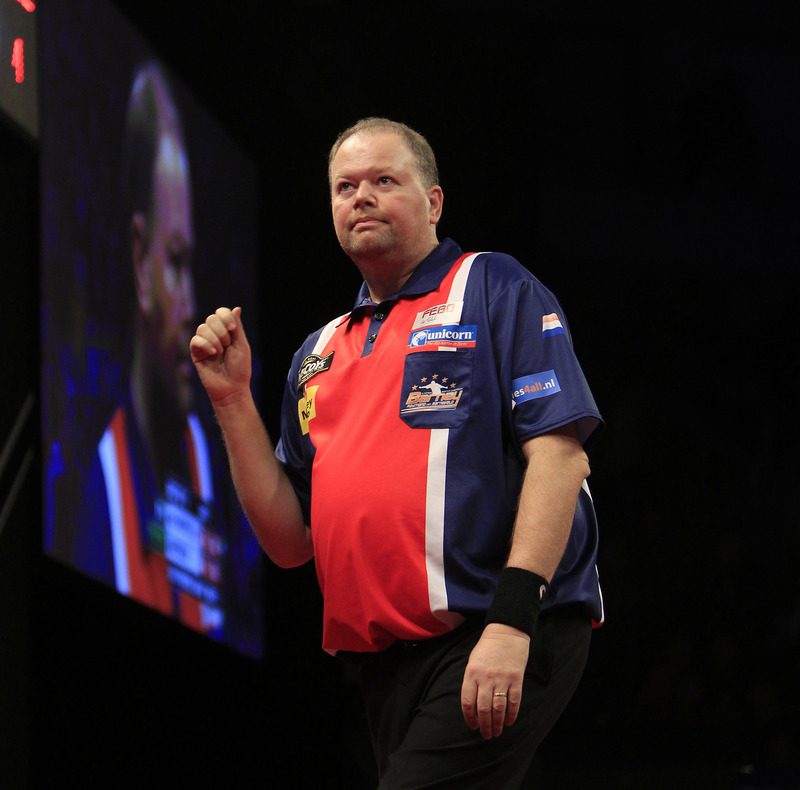 ‘Barney’ performed brilliantly in a thrilling tussle with Taylor but was unable to take advantage of five match darts before ‘The Power’ stepped in to take a share of the spoils. Raymond van Barneveld earned a hard fought victory against Andy Hamilton in Sheffield to move a step closer to a McCoy’s Premier League Play-Off place. The five-time World Champion had to fend off a fight-back from ‘The Hammer’, who took five out of six legs to take a 5-4 lead. Raymond van Barneveld claimed a comfortable victory against Adrian Lewis at The Brighton Centre on Thursday on night nine of the McCoy’s Premier League. 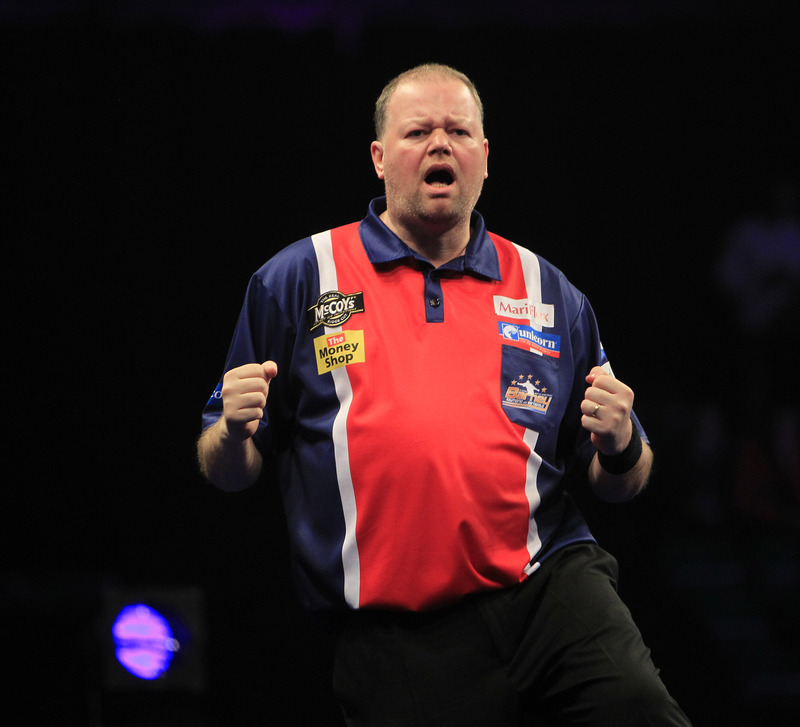 Raymond van Barneveld shared a draw with James Wade in Cardiff in the McCoy’s Premier League on Thursday evening. Wade took out two finishes of over 100, while van Barneveld hit five 180s in a match that had plenty of highlights but the pair could not be separated.